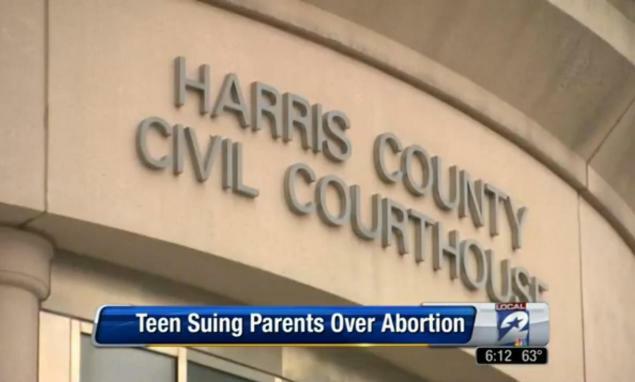 A 16-year-old Texas girl is suing her parents for coercing her to have an abortion against her will, a lawsuit claims. This entry was posted on February 13th 2013 at 5:13pm/17:13 and is filed under Live News Column 1. You can follow any responses to this entry through the RSS 2.0 feed.